When I saw the title in my bloglist, I knew it would be her! I love how she chose right in the middle too. That looks sooo inviting! 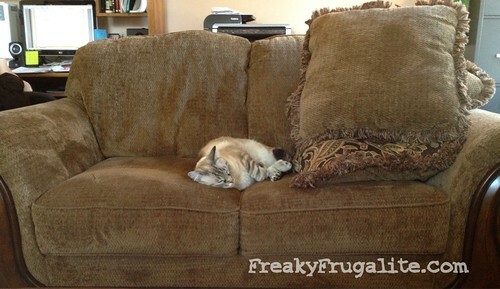 :luvs: I’d love to curl up there and nap with Livvy. ya but at least you can sit around her. when mine lay on the couch there is no more room. Really?! She’s got to sit right in the MIDDLE???! Sheesh. I swear they know exactly what they are doing.